Experienced Naturalized American Power forward Wayne Chism (206-PF-87) had a very impressive game in the last round for league's leader Al-Manama and that's him to receive a Interperformances Player of the Week award for round 5 (Second Stage). The 31-year old power forward had a double-double of 22 points and twenty one rebounds, while his team crushed Al-Najma (#5, 1-4) with 16-point margin 101-85. It allowed Al-Manama to jump to the first place in the Bahrain Premier League. Al-Manama have a solid 4-1 record. In the team's last game Chism had a remarkable 60.0% from 2-point range. He turned to be Al-Manama's top player in his first season with the team. Wayne Chism averages this season 18.8ppg and 13.2rpg. The second most remarkable performance in last round's games was 34-year old Bosnia and Herzegovina center Mile Ilic (215-C-84) of Al-Ittihad. 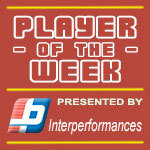 Ilic impressed basketball fans with a double-double of 22 points and 18 rebounds. Bad luck as Al-Ittihad lost that game 72-77 to the higher-ranked Al-Ahli (#2, 4-1). Al-Ittihad managed to keep the same 6th spot in Top. 4 lost games are too many comparing to just one victory Al-Ittihad managed to get this Second Stage. Ilic is a newcomer at Al-Ittihad and it seems he did not have too much trouble to become one of team's leaders. 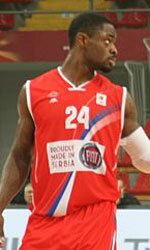 The third best performed player last round was American Marcel Jones (203-F-85) of second-ranked Al-Ahli. Jones showcased his all-around game by recording 27 points, thirteen rebounds (!!!) and four assists in the last round. 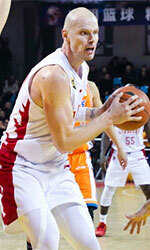 He was a key player of Al-Ahli, leading his team to a 77-72 win against the lower-ranked Al-Ittihad (#6, 1-4). Al-Ahli is closer and closer to top of the standings in Top. They will still need more victories. But 4-1 record is not that bad... Jones has a very solid season. In 15 games in Bahrain he scored 27.8ppg. He also has 17.1rpg, 3.9apg, 1.4bpg and FGP: 64.6%.